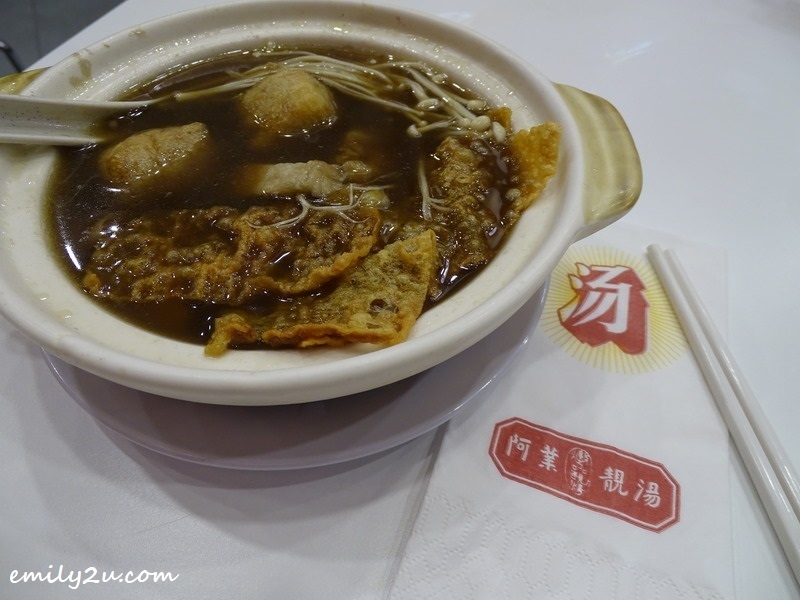 Fancy eating Ipoh Bak Kut Teh at Resorts World Genting! Yup, that was exactly what I did when I was taken on a food trail on the mountains to try out the many F&B offerings at SkyAvenue. 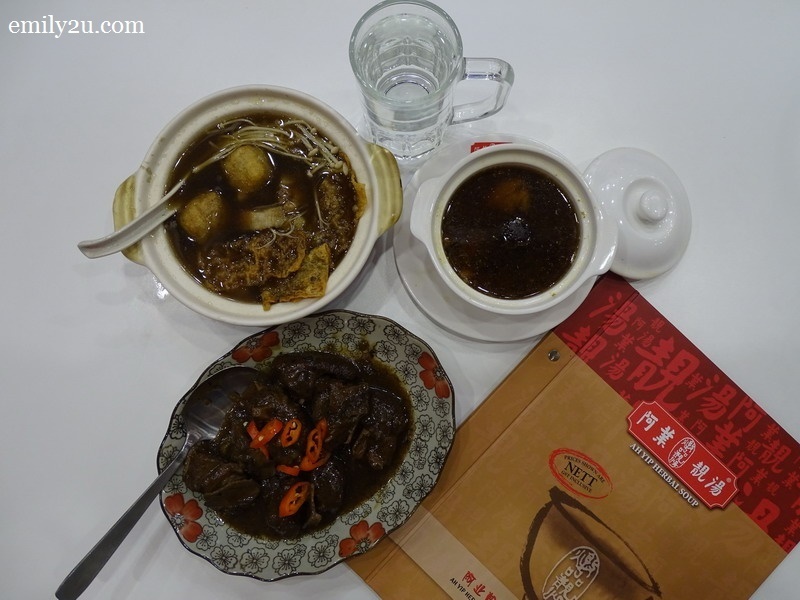 I am not a huge fan of Bak Kut Teh or duck at the best of times but when these came at the recommendation of the chef, I decided that I should give them a go. I am glad that I was not disappointed! 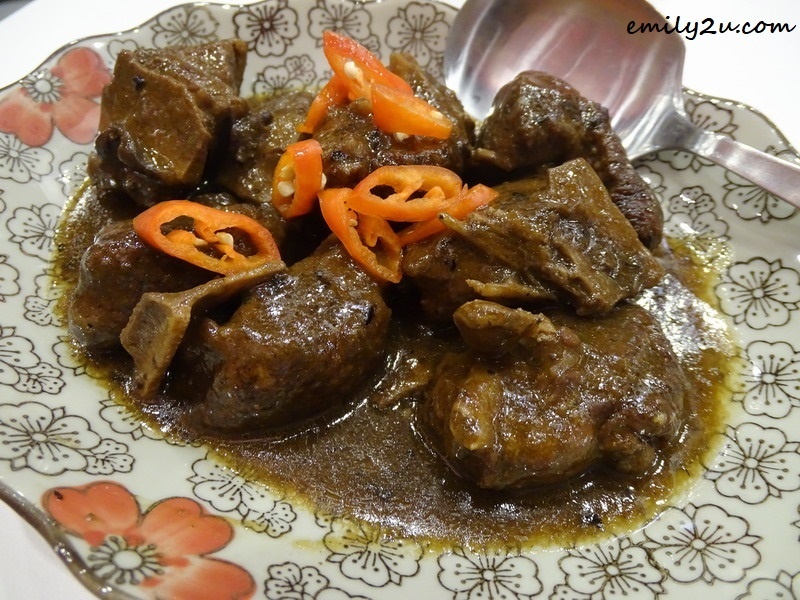 I felt revitalised when my meal was washed down with Ginseng Stew Chicken Soup. That’s a health tonic that I needed with the hectic lifestyle I lead. 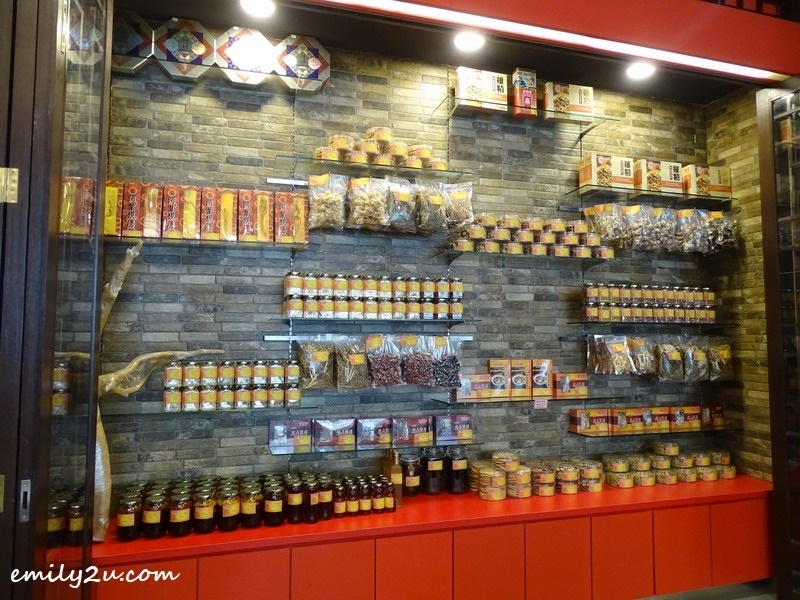 A little trivia for you here: Ah Yip was first established in Tanjung Tualang, a small town in Perak. 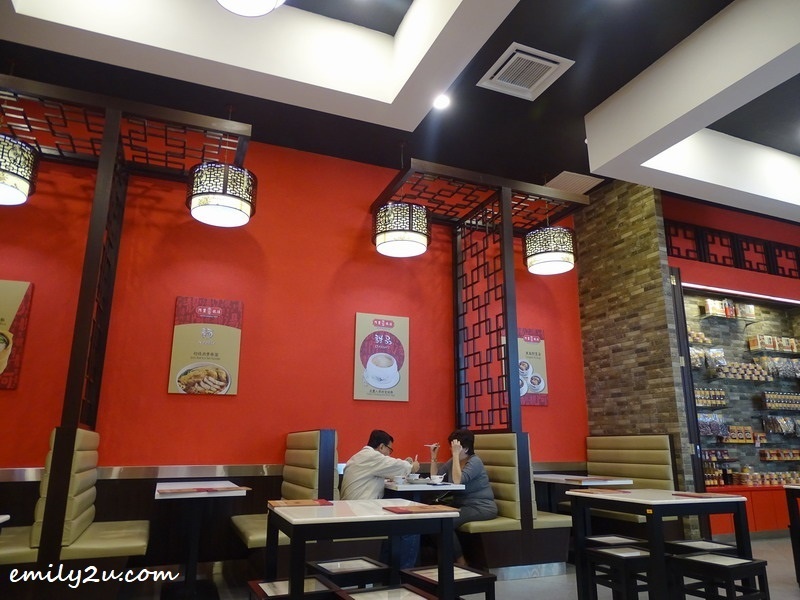 It’s heartening to see how they have grown to be a chain restaurant with outlets across the Klang Valley. 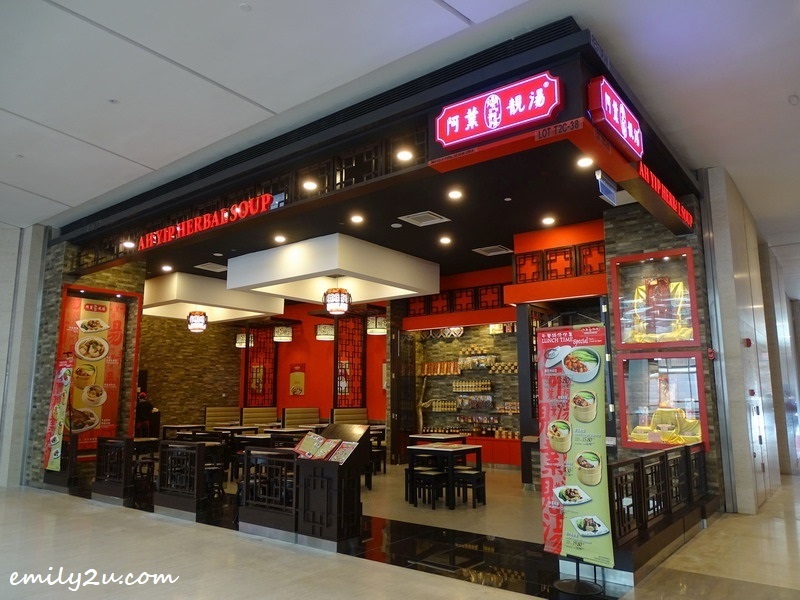 In Resorts World Genting, Ah Yip Herbal Soup is located at Lot T2C-38, Level 4, SkyAvenue. 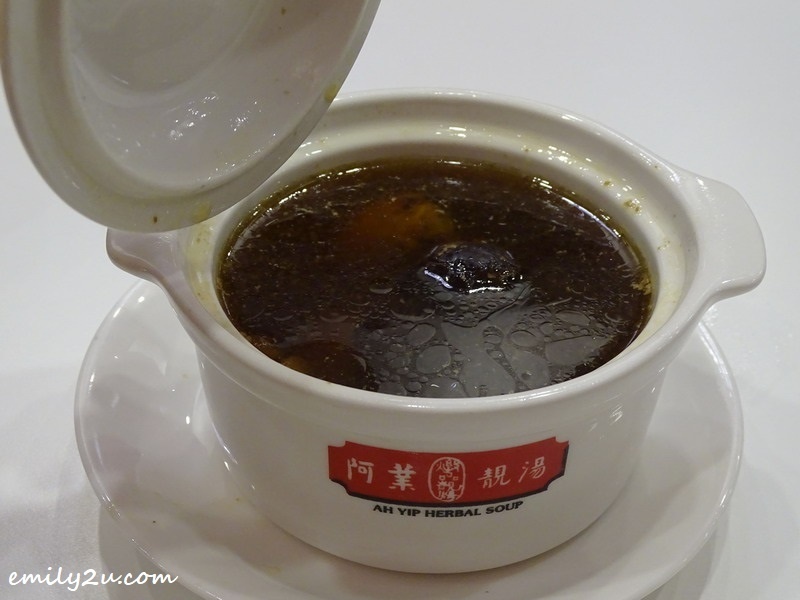 3 Responses for "Ah Yip Herbal Soup, SkyAvenue, Resorts World Genting"
Oh the herbal soup looks really nice and refreshing. Guess I’ll bring my grandma as in a cold place like Genting, this would really helps to keep her body warm. i like their soup so much! a lot of choices and set can be chosen. never have the chance to try this yet as im kinda particular on herbal soup but this Ah Yip seems to have many compliments about it and i believe i should give it a try and to break my curiosity.